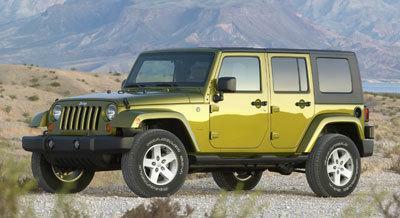 Jeep Wrangler Unlimited: Just your average SUV? 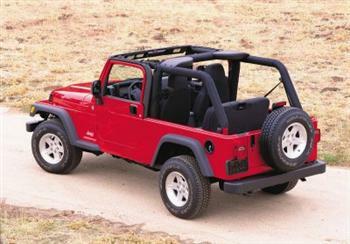 The first Jeep Wrangler Unlimited models (2004-2006)were 2-Doors only! 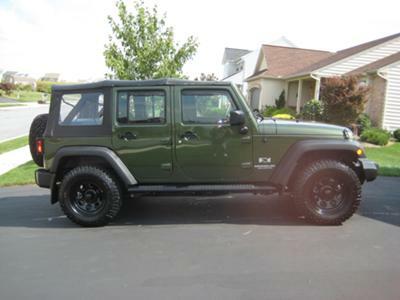 Is the 2007-on Wrangler Unlimited JK just your average SUV? I don't think so Tim! 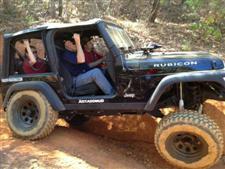 Jeep has done it again. I ask you this: What has 4-doors; is a kick to drive; looks awesome; and, can go through the most primitive roads/trails?...An ABRAMS TANK... of course! Okay, sure a tank can be all that and then some (although I don't know how many doors an "Abrams" has) but I'm really referring to the Unlimited Wranglers anyway. Note: The Unlimited originally came in 2-door models (2004-2006) and can now be had in 4-door versions only, with optional 2-wheel drive as well as the customary 4x4 rigs. The 4x4 models seem to balance the issue of compromised on-pavement and off road functionality. What do I mean by that? Well the Wrangler Unlimited has improved street manners, and most of the off road capabilities of its shorter wheel-based cousin...affectionately known as just the "Wrangler". 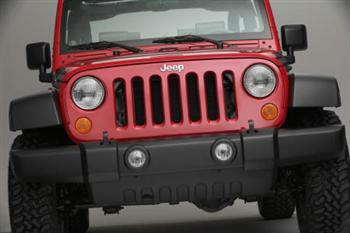 The standard Wrangler sports a 95.4 inch wheelbase, while the Wrangler Unlimited stretches to 116.0 inches. 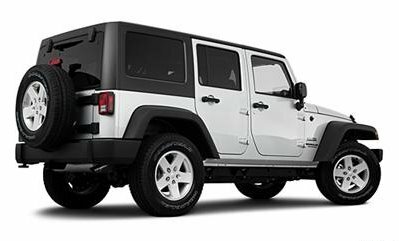 While that doesn't seem like a lot of difference in length, the longer wheelbase translates into more cargo and/or passenger space which the short Wrangler sorely lacks. 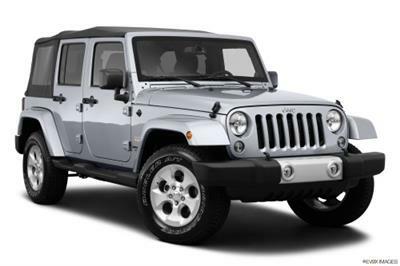 However, you must remember that the shorter Wrangler leans more toward the off road side of design while the longer Unlimited is more of a compromise. 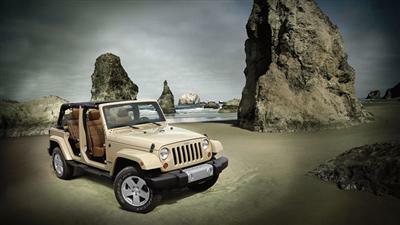 Prices for the new Jeep Wrangler Unlimited range from a little over $25,000 for the base model to a hefty $36,000+ with all the bells and whistles (options). 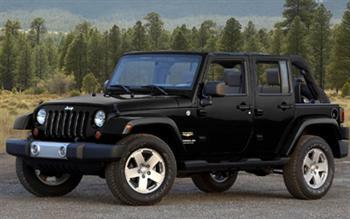 Compare the standard sized Wranglers with the Jeep Wrangler Unlimited. Just another SUV? A mini Hummer? In some respects...yes, but this little SUV has a kick...it's a Jeep...with all the tough Jeep pedigree and heritage attached.